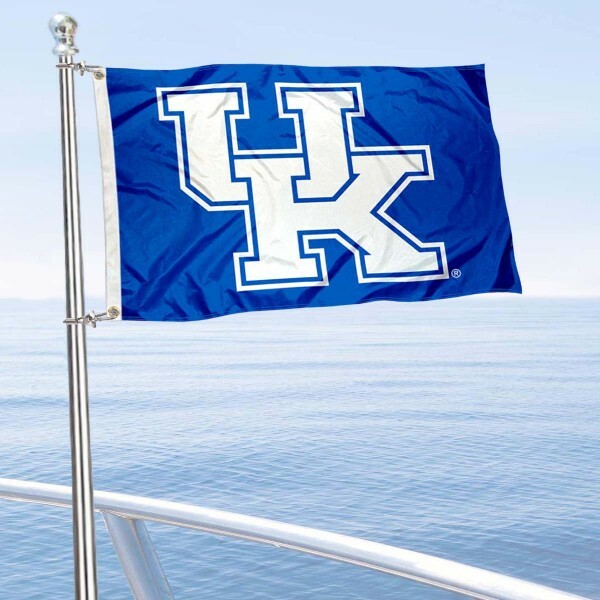 Our Kentucky Wildcats Boat Flag is made of double-sided polyester, measures 12x18 inches in size, has quadruple stitched fly-ends, and has two metal grommets for attaching to your pole mount or for hanging on a wall. The college logos are screen printed into the Kentucky Wildcats Boat Flag so they remain colorfast and resist fading. Since this flag is 2-ply constructed, our flag is viewable and readable correctly on both sides. Our College Mini Flags are perfect for any use and can be mounted on your motorcycle, golf cart, ATV, boat, or any recreational vehicle to show your college team allegiance. See our All Purpose Mount for other uses for these flags. These college mini flags are officially licensed by the selected school.